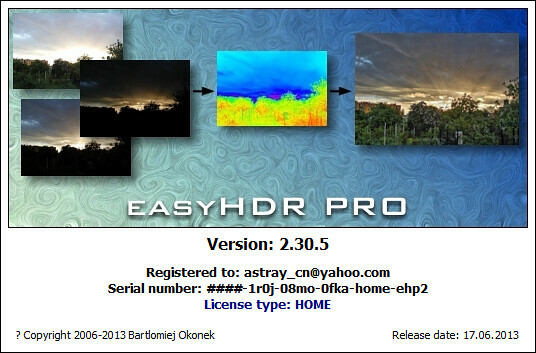 EasyHDR PRO is an image processing software that produces and tone maps High Dynamic Range (HDR) images out of photo sequences taken with a digital camera. It is capable of importing several image formats: JPEG, 24/48-bit TIFF, FITS or any RAW photo (thanks to integration with DCRAW). EasyHDR PRO can also import OpenEXR (*.exr), Radiance RGBE (*.hdr) and 96-bit floating point TIFF HDR images that were previously generated with any other HDR image processing software.